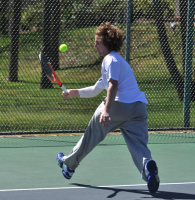 Quinnipiac’s Andrew Weeden serves the ball in Saturday’s meet vs. Hartford. Quinnipiac’s Andrew Weeden returns the ball in Saturday’s meet vs. Hartford. 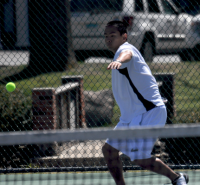 Quinnipiac’s James Kwei returns a volley in Saturday’s meet vs. Hartford. 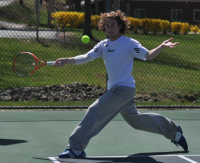 Quinnipiac’s Andrew Weeden returns a volley in Saturday’s meet vs. Hartford. 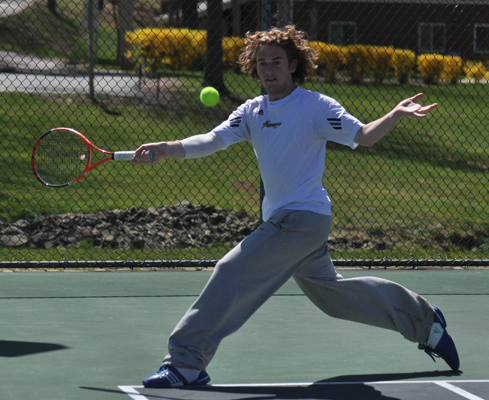 Quinnipiac’s Garrett Lane returns a volley in Saturday’s meet vs. Hartford. Quinnipiac’s Garrett Lane serves the ball in Saturday’s meet vs. Hartford. Quinnipiac’s James Kwei reacts to a point in Saturday’s meet vs. Hartford. Quinnipiac’s James Kwei reacts after a game in Saturday’s meet vs. Hartford. 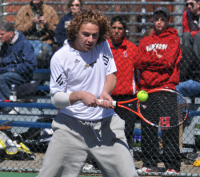 Quinnipiac’s Eric Ambrosio returns a serve in Saturday’s meet vs. Hartford.